高文, 黄钢, 韩晓莉. 基于蚊密度差分自回归移动平均模型预测流行性乙型脑炎的贝叶斯判别分析研究[J]. 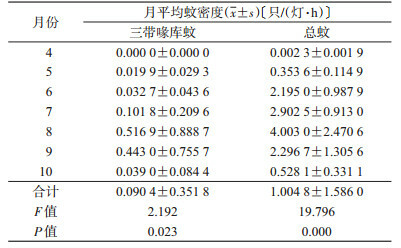 中国媒介生物学及控制杂志, 2018, 29(6): 557-563. GAO Wen, HUANG Gang, HAN Xiao-li. Application of Bayes analysis in Japanese encephalitis prediction based on multiple seasonal autoregressive integrated moving average model[J]. Chin J Vector Biol & Control, 2018, 29(6): 557-563. Corresponding author: HUANG Gang, Email: bingmeicdc@126.com. Abstract: Objective To expound the application of Bayes analysis in the relationship between Japanese encephalitis (JE) and multiple seasonal autoregressive integrated moving average model (ARIMA) in Hebei province, meanwhile, to evaluate the effect of the multiple seasonal ARIMA model in the prediction of monthly mosquito density and JE prediction. Methods We collected the incidence data of the JE and mosquito population density data. A mathematic model was constructed using SPSS 21.0 and used to predict the situation, discuss the application of Bayes analysis in the relationship between JE and multiple seasonal ARIMA model of total mosquito density. Results ARIMA (0, 1, 1)×(0, 1, 1)12 model best fitted the incidence of mosquito density from 2009 to 2016. The incidence of JE disease was correlated with mosquito population densities (r=0.101, P=0.043). Bayes analysis indicated that 63.16% subjects were correctly discriminated among samples of mosquito density and Bayes analysis got a result that the coincidence rate was 100% among the prediction of mosquito density and true ones in JE prediction. Conclusion Bayes analysis verified that the multiple seasonal ARIMA model in the prediction of monthly mosquito density can be used to predict the JE. 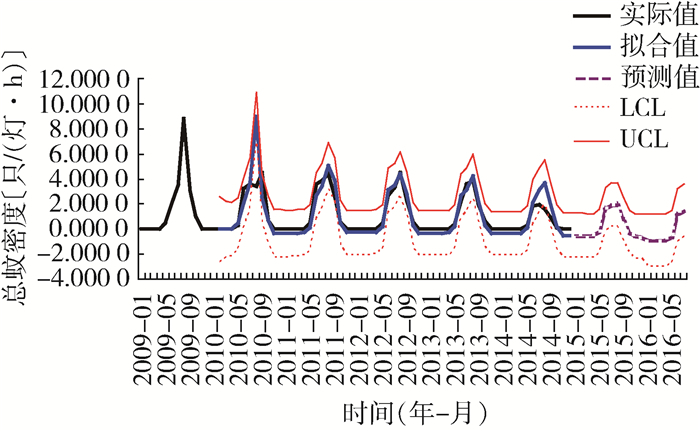 ARIMA model fits well in the prediction of mosquito density, and applies to the information system of vector monitoring, and to early warn the unusual mosquito density and control mosquito-borne infectious diseases. 孙振球, 徐勇勇. 医学统计学[M]. 4版. 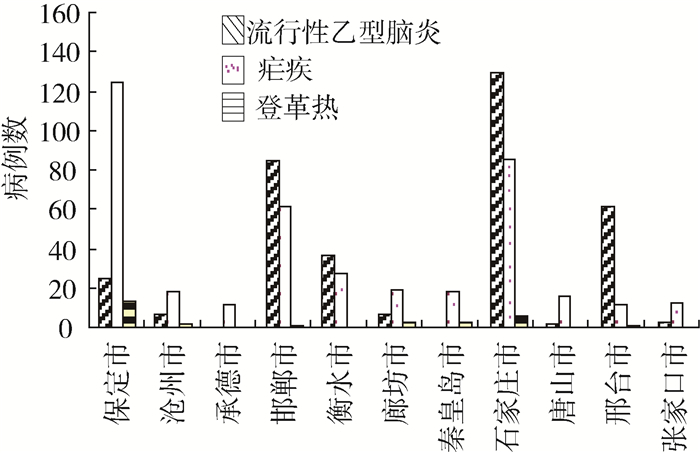 北京: 人民卫生出版社, 2015: 384-440. 易丹辉. 时间序列分析:方法与应用[M]. 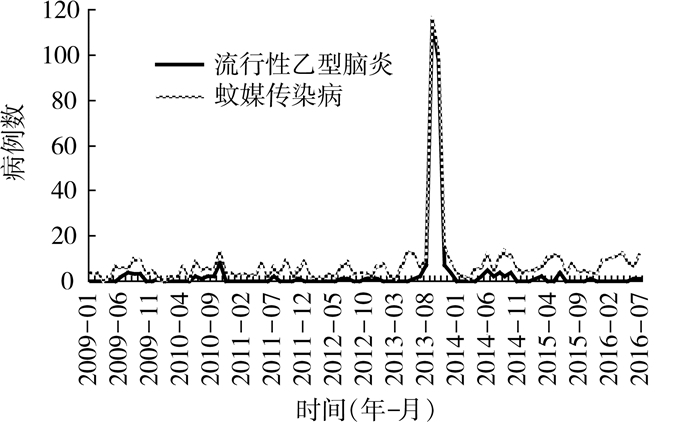 北京: 中国人民大学出版社, 2011: 70-80. 袁志发, 宋世德. 多元统计分析[M]. 2版. 北京: 科学出版社, 2000: 216-235. 裘炯良, 郑剑宁, 薛新春, 等. 国际航行船舶外来医学媒介生物传入风险的判别分析[J]. 现代预防医学, 2010, 37(4): 608-610. 马庆波, 向华, 刘伟, 等. 基于贝叶斯-神经网络筛选矽肺早期标志物及建立诊断模型[J]. 质谱学报, 2011, 32(1): 50-54. 杨珊, 周波, 何小群, 等. 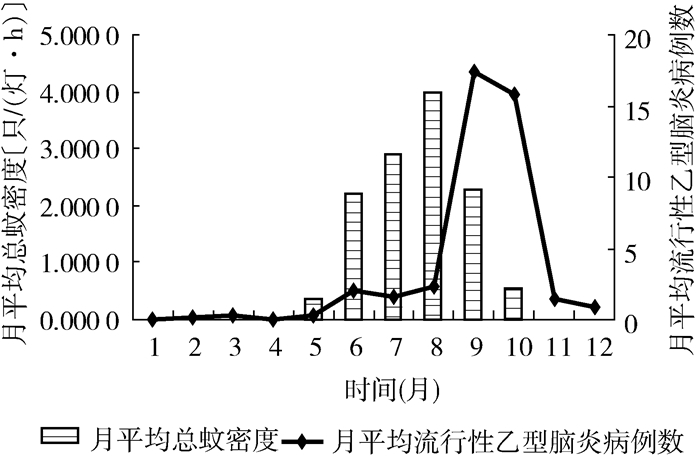 贝叶斯判别分析在原发性醛固酮增多症诊断中的价值研究[J]. 中国实用内科杂志, 2015, 35(10): 835-838. 肖培, 崔步云. 贝叶斯判别分析在布氏杆菌常见种别鉴定中的应用[J]. 中国卫生统计, 2013, 30(6): 802-804. 尹遵栋, 罗会明, 李艺星, 等. 时间序列分析(自回归求和移动平均模型)在流行性乙型脑炎预测中的应用[J]. 中国疫苗和免疫, 2010, 16(5): 457-461. 邹志辉, 周健明, 林琳, 等. 深圳市龙岗区蚊虫自然感染流行性乙型脑炎病毒状况调查[J]. 现代预防医学, 2012, 39(19): 5083-5085. 候雨丰, 翟士勇, 赵志清, 等. 石家庄市2013年乙脑媒介蚊虫调查分析[J]. 医学动物防制, 2015, 31(2): 216-217. 蔡松武, 段金华, 刘文华, 等. 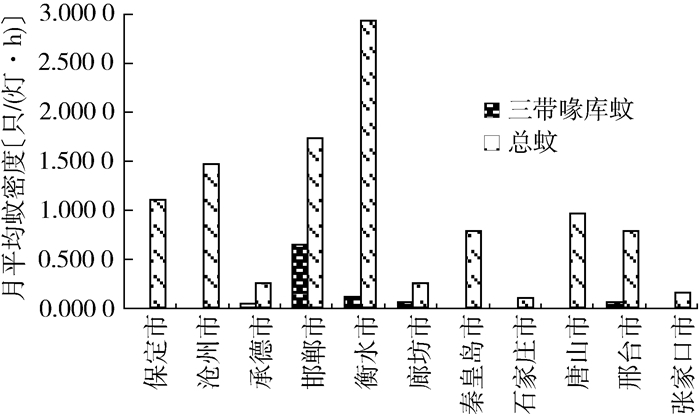 病媒生物网络直报信息系统在监测中的应用[J]. 中华卫生杀虫药械, 2010, 16(6): 415-417. 杨天赐, 张晓斌, 董善定, 等. 智能蚊媒传染病应急管理系统开发与应用[J]. 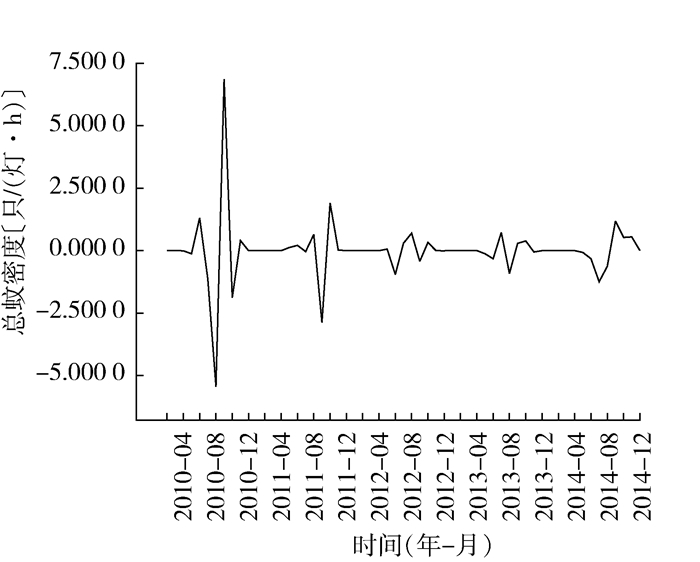 中国卫生检验杂志, 2014, 24(5): 653-655, 660.